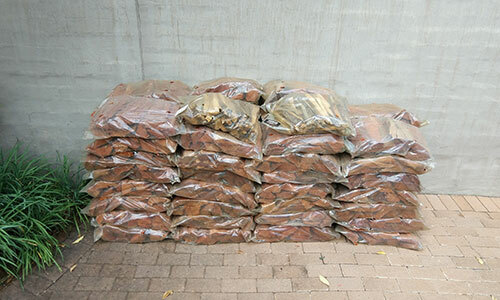 We can deliver 150 bags of Blue Gum firewood or Sekelbos braai wood for only R4000 incl. delivery. We cannot deliver less than 150 bags in Pretoria. We sell firewood in bulk for delivery to Pretoria and Centurion. It is always a good idea to have a store of good quality firewood ready to hand. You can use it for your braai, for a BBQ, for campfires and for heating your home. Speciality firewood can also be used for outside cooking and warming facilities such as chimineas. We sell the very best firewood in Pretoria, and here we explain why we should be your number one choice for firewood for sale in Pretoria. If you are looking for firewood in Johannesburg visit our partner (www.joburgfirewood.co.za) for great firewood and braai wood prices. When you buy your sekelbos or blue gum wood with us, you can also enjoy free delivery. So, if you were still weighing up whether or not it would be more cost effective to buy smokey, inefficient, inferior quality firewood that does not burn for very long at all, you can forget that idea! Top quality woods like sekelbos and blue gum give you a much better experience for both your fireplace and your braai. What is more, with free delivery you will find that buying these superior woods does not need to break the bank. Blue gum is a great firewood for your fireplace it burns for long and burns hot. Sekelbos is great for braais as it makes coals and gives off a lovely aroma. 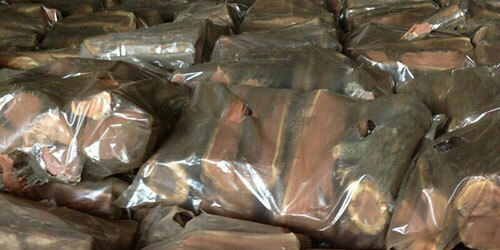 We can provide you with bulk bags of ready cut wood, which means that you will never run out. Dry woods such as sekelbos can also be pretty hard to cut by hand, and so purchasing a ready cut sack of wood really does make your life so much easier. Our speciality packaging is designed to keep your wood totally clean and dry until you are ready to use it. So, why not purchase a few sacks of both types of wood today so that you have them ready to hand? You never know when your friends might come round, keen for an impromptu braai! And you never know when the nights might suddenly turn cold, making you hanker after a hot, blazing, aromatic fire in your home. We stock two main types of superb wood, namely: Blue gum and Sekelbos. Let's take a closer look at both of these types of wood. Blue Gum is the perfect choice of firewood for heating your home. Pretoria's climate is ideal for having a fireplace, and many people in this region do favor traditional fires over electrical heating. Once lit, this wood will burn very efficiently, giving you plenty of heat for the longest possible time period. It also does not generate very much soot and smoke (in other words, it is a clean burning fuel) which means that it is better for your chimneys and for your home furnishings. When burned, Sekebos releases a very pleasant aroma which many firewood specialists even refer to as a perfume. Braais are hugely popular in the Pretoria region, as we all know, and Sekelbos is the ideal firewood for a braai because it is so easy to light and because it burns very cleanly - let's face it, nobody enjoys a braai when there is smoke blowing in their faces all the time. In short, whether you need wood to heat your home or some firewood to get that party started around the braai, we will be more than happy to provide you with some ready cut sacks of top quality firewood for sale in Pretoria. High quality, dry, aromatic woods that burn cleanly and in an energy efficient manner. What more could you want? Firewood delivery in Pretoria. Order today!